Have you ever switched to a phone other than an iPhone, only to discover you no longer receive messages from your friends and relatives sent to you through iMessage? You are not alone. Apparently, the issue is a big elephant in the room for Apple, and a healthy gunpowder reserve for sensationalists who claim that the iPhone maker does it for the purpose of keeping its users away from steering to other platforms. While we wouldn't go as far, Apple's refusal to solve the problem while acknowledging it is quite disturbing. The issue at hand is that iMessage is a separate messaging system which has apparent problems with delivering messages to devices that do not run iOS. Users' texts seem to get stuck either permanently, or for a duration of time inside the system. This only happens if the recipient is using another mobile platform, because it seems the system gets stuck trying to find your one-time iMessage address. Apple has not commented formally on the issue, but its customer support has been acknowledging the problem while unable to fix it. In addition, Apple advises iPhone users to turn off iMessage if they intend to transfer their SIM cards and phone numbers to a non-iOS device on its help page. 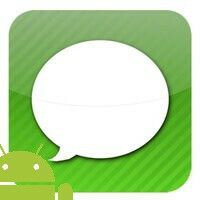 If they don't, iOS devices will try in vain to send messages through iMessage, instead of SMS or MMS for up to 45 days. Lifehacker's Adam Pash has written a detailed report on the matter, which you might find interesting if the "iMessage purgatory" issue concerns you. His words paint a pretty accurate assessment of the situation: "Most of my friends have iPhones. My phone number hasn’t changed. But my number is now a black hole for text messages." Buying an apple device is tantamount to entering a black hole. I actually liked iMessage more than what we got from Hangouts at first when I compared them... but today even though I still dislike Hangouts overall design.. it is still way more practical and you have full control over how you want to send your messages... SMS or Hangouts... and the later will show you if the person is online or not... So Hangouts took the upper hand with its recent updates. What the heck are you talking about, it's just uTTer and complete iFailure (AGAIN)!!! Hmm.....Apple refusing to solve a problem.because the people aren't their customers anymore. Wow...just wow. how is that wow ! if you buy my products and need help i'll help you but if you're using another product why would i help you ? Because your customers can't text their friends. It isn't the friends problem only, it's yours as well. So when they find out iMessage is eating their texts, your customers will blame you, not their friend who jumped ship to another device. Because you already paid the Apple tax. You pay 3 times what you would pay another company so Apple can look like they have great customer service. And if they don't have to provide great customer service, they just bank the money. That is how they have 100 billion plus. Oh wait....people don't realize this yet and just think Apple has great customer service... Okay move on. I'll just revisit this when the rest of itards realize this. So the people that still have iPhones and can't text their friends/relatives/contacts who don't have an iPhone are not Apple customers ? The people that swicthed their phone but still have an iPad/iPod are not Apple customers ? Apple has no responsibility to them ? When my s3 broke I had to go to an ip5. Now that I'm on my s5, a lot of my friends are having trouble texting me. Customer support said it should be resolved, but it's still going on. That week with the iPhone was hell. Now it's makin my life more difficult. Thanks apple. Apple is just isolating itself further and they will be the one who suffer from this. Turn off iMessage. Problem solved. It still doesn't fix it for some users, and it's not as simple as turning off I message. You also have to go into your iTunes account and unregister your device. It's unnecessary hoops for the customer to jump through. @Sniggly I had the same problem years ago and turning off imessage worked for me. I had the same problem 2 months ago. Turning off imessage doesn't work anymore. you have to unregister the account even after that you still have to wait. i waited for 4 days till i had full texting capabilities. It works for most cases. I think sniggly is exaggerating here. I agree. My main phone is an iphone and i change to a new android phone to try at least once a month. Everytime i turn off iMessage wait 5 minutes before removing the sim and placing it on an android phone. No problem at all. Last one i did was the m8 (2 weeks ago), so turning it off does work as i can confirm. no my friend I'm a manager of one of the biggest carriers in US and this is the bigguest issue we are seeing fem customers moving from an iPhone to android, and then the recommendation from apple customer care is the dumbest thing ever: "turn off iMessage, delete all your contacts that had iPhone and add them again or tell all your contacts that had iPhone to delete you from their contact list and also to delete the message conversation and create a new one" really??? for 90% of users yes simply turning off imessage is the key, or going to your account to deactivate your device. I deal with this daily, and a simple call to apple triggers a unregister, and within 24hrs it is working again. i have yet to have it last longer than that for hundreds of customers. Funny because it has worked for others. Let's not get on the subject of unnecessary hoops for the customer. Should I go dig up the old skeletons out of Motorola's closet? @Mxy regardless it's a huge annoyance for anyone switching phones. I was able to figure this out on my own but many people I know were not able to and were blaming the Android ecosystem when it is clearly Apple being negligent. Google and Android OEMs are just as guilty of being negligent, if not more. But it doesn't make it right because Google and Android OEMs do negligent things as well.. It's a horrible and unethical practice to screw over a person when switching phones no matter who does it.